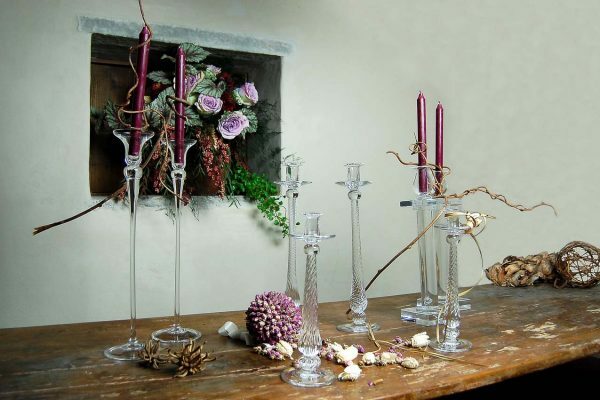 CollectionsThe objects designed by Locchi are exclusively made with 24% lead crystal or mouth-blown glass. 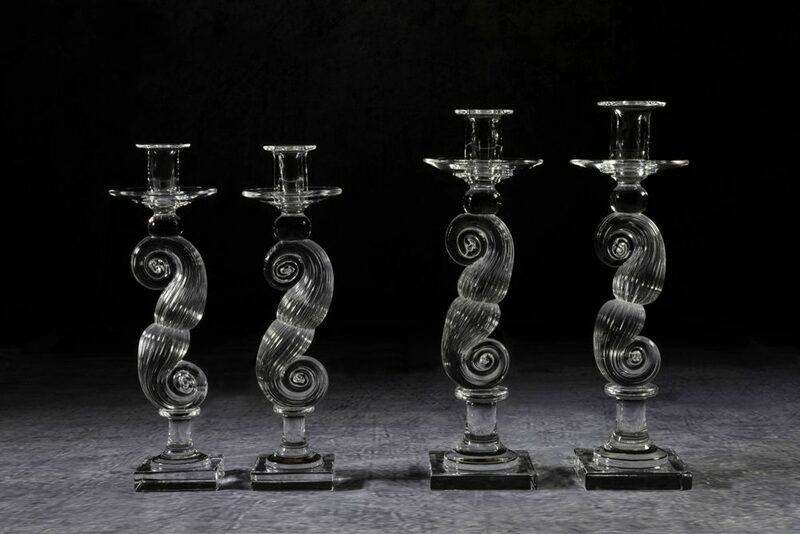 We use ancient shapes of the 16th and 18th century, Empire Style, Art Nouveau and Art Deco, but also modern and innovative lines. 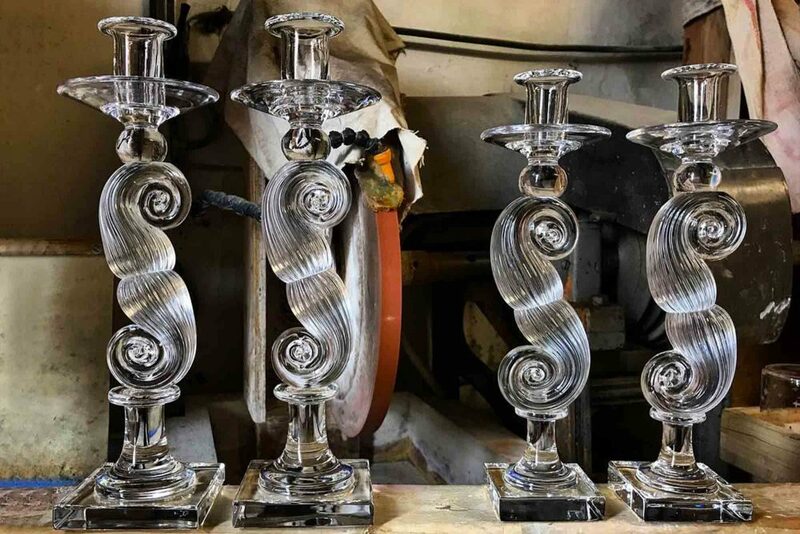 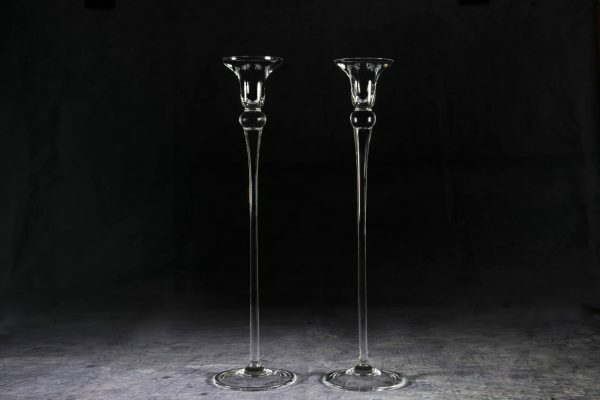 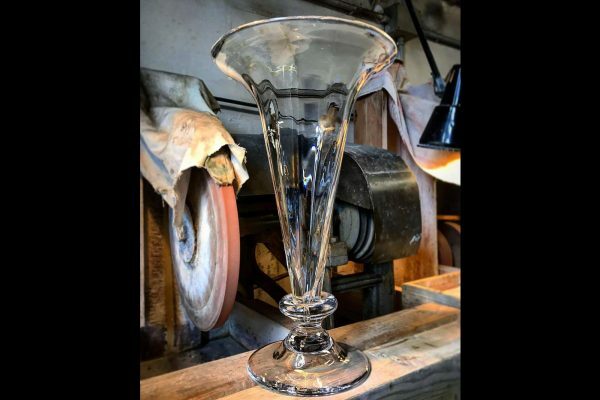 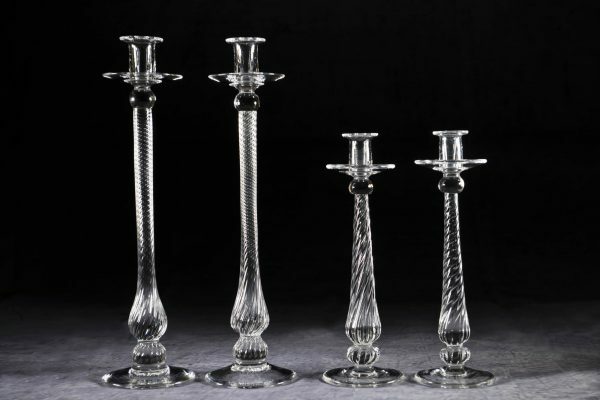 Pair of candlesticks in blown crystal, square base and stem with double snail. 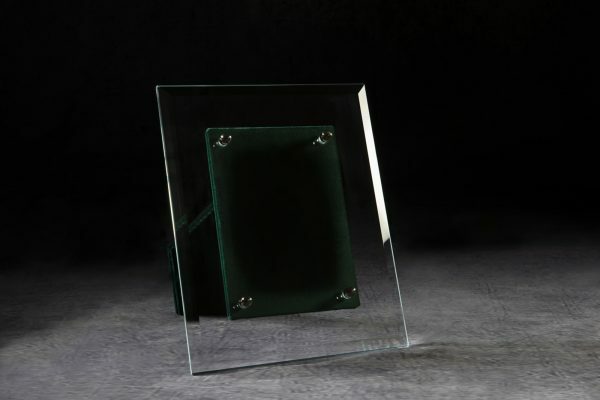 P.IVA 03192890485 | REA 339343 | Cap. 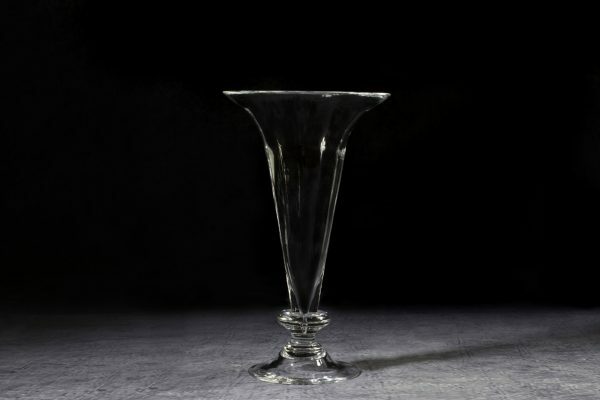 sociale € 25.000,00 i.v.